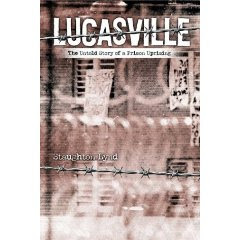 Siddique Abdullah Hasan is one of the Lucasville Five--a group of men railroaded onto death row in Ohio after a 1993 prison rebellion in which inmates at the Lucasville prison rose up against the abuses and arbitrary rules of prison guards and officials. In the article below, published originally on SocialistWorker.org Below, he writes about the July 21 execution of Marvallous Kenne--the 1,000th prisoner to be executed by lethal injection in the U.S. since the death penalty was reinstated in 1976. IN SPITE of the milestone we have made with the election of the first African American president, it is sad that we have to witness, in the 21st century, in such an industrialized nation, that we've come to the point that we have executed the 1,000th person by way of lethal injection. Is it really just a coincidence that Marvallous Keene in Ohio, the victim of this 1000th lethal injection, was a Black man? As if lethal injection is a sanitized way of killing someone! The reality is that regardless of how the execution is being carried out, it still amounts to murder. Another murder that this society doesn't need to make society safe. There are too many injustices and too much unfairness to support lethal injection or any other form of execution in this country. Too many minorities are being victimized by it. And you have veterinarians not willing to use some of the elements of the lethal injection on animals, yet this government is willing to use it on human beings. They are saying that animal life is more important to them than human life. But it's hard to tell Ohio authorities, considering that they just killed two people last week--and that, between now and February 4, they have seven more executions scheduled. What has really touched a nerve with me is that one of these people scheduled for execution on January 7 is a very good friend and dear Muslim brother of mine. Not only is he a dear friend of mine, but I'm also trying to see to it that he gets a proper Islamic burial. What we need is for concerned citizens in Ohio and elsewhere to show some collective responsibility. We need a national movement to put this issue on the table so that Barack Obama's administration must turn their attention toward the criminal injustice system. Should we wait on them? No! We should unify our efforts in the anti-death penalty movement and demand that Barack Obama's administration do something about it. We must come with an agenda and submit this agenda to Barack Obama and the Justice Department. It is my hope and prayer that the soldiers in the abolitionist movement will step up to the plate and use every resource available at our disposal to not only fight the injustice of capital punishment in Texas, Georgia and Ohio, but work toward abolishing it on a national scale. 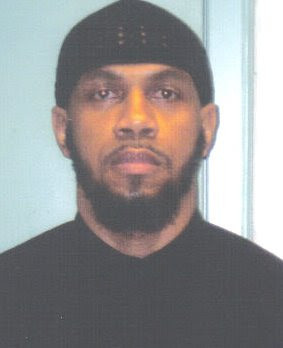 You can write to him at Siddique Abdullah Hasan, R130-559, Ohio State Penitentiary, 878 Coitsville-Hubbard Road, Youngstown, OH 44505.